The energy between the two similar forms belies the calm of the curves. 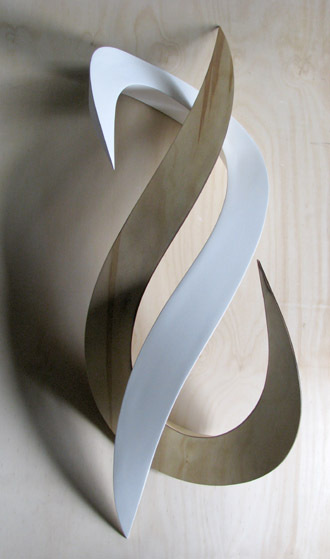 This sculpture can be wall hung or placed on a horizontal surface. Finishes are flat enamel and wax.